We stayed in Trastevere for several nights before our wedding in Pienza and purposefully went to the same restaurant several nights in a row just to eat their delicious bruschetta, listen to the local accordion player, and drink their house red wine which, magically, didn’t leave us with any signs of a hangover (I am such a lightweight and get them after just one or two drinks). We’d leave hours later grinning ear-to-ear, arm in arm, walking down past the fountain square promising each other we’d HAVE to go back again. Speaking of things always being better in Italy – here is proof. Their policemen are calm, cool, and stylish with uniforms designed by Armani. Seriously, Armani. Can you blame me for wanting to be Italian? I didn’t research it but if you told me American police uniforms were designed by Sears & Roebuck, I’d believe you. Here they are standing outside the Colosseum to make sure it stayed closed to tourists so some Big Whig could visit. They were so relaxed and so … Italian. Bulletproof vests on with their sleeves rolled up. In the land of policemen, it doesn’t get much cooler than this. 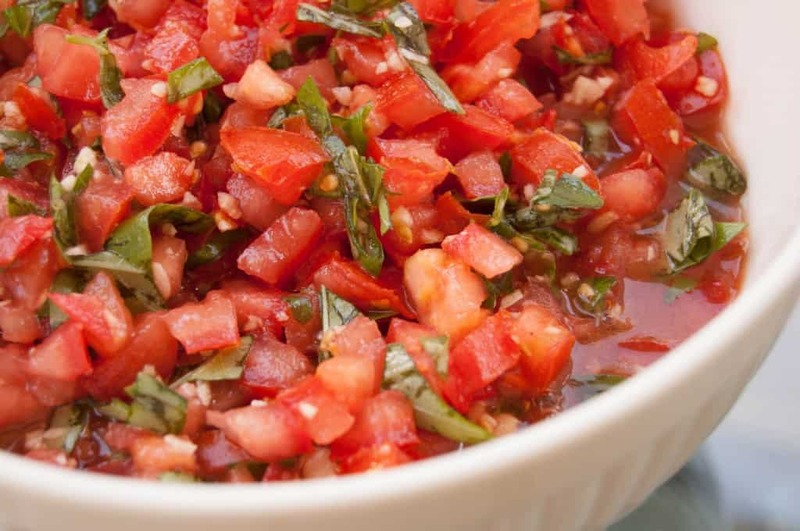 Looking for a main dish to go with this appetizer? 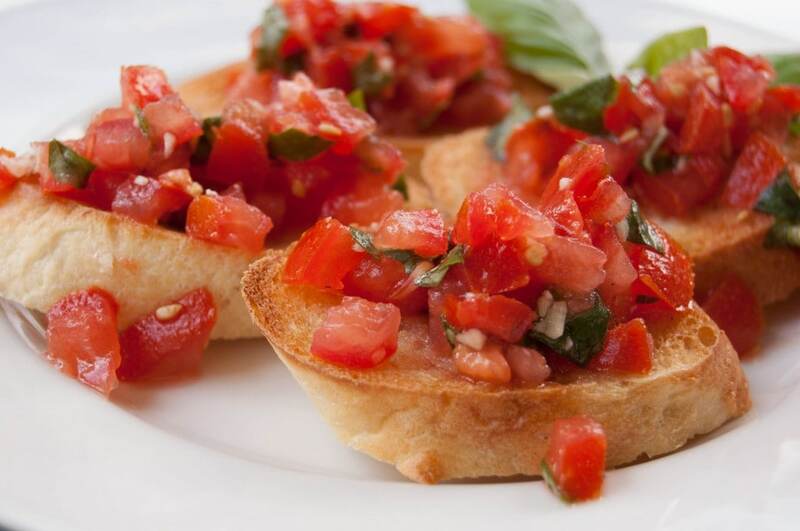 Try Tomato Basil Tilapia crusted with Pecorino Romano and topped with this Trastevere-inspired bruschetta topping. 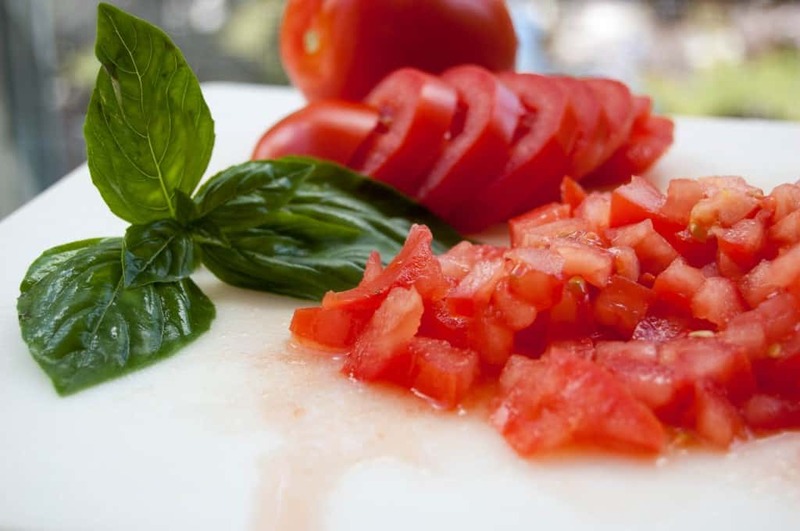 Combine tomatoes, garlic, olive oil, salt, pepper, and basil in small bowl. Stir gently to make sure all the flavors are blended. Cover and refrigerate for several hours or overnight. When bruschetta mixture has marinated long enough, preheat oven on broiler setting. 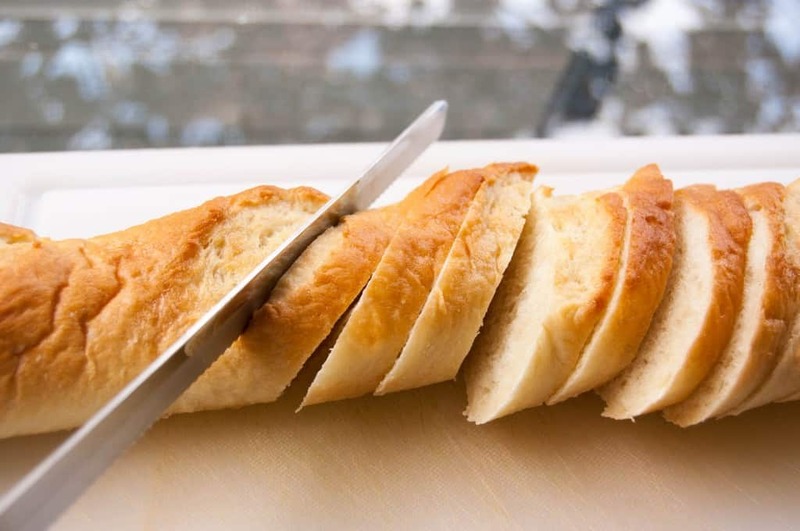 Cut French baguette on the diagonal in 3/4 inch slices. Lay bread in single layer on sheet pan and broil on top rack for approximately 1-3 minutes until golden brown. Watch your bread carefully so it doesn’t burn! Let bread cool and top with spoonfuls of bruschetta mixture. 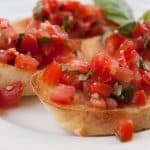 If your bruschetta is really juicy try letting it sit and soak on the bread for a few minutes before eating. It tastes even better! Love this! Great recipes and loved reading about you. 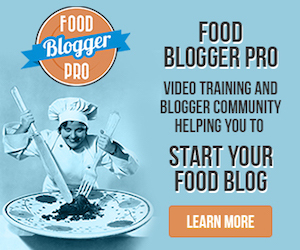 Please email me your latest recipes. I can’t wait to try them out! Thanks! 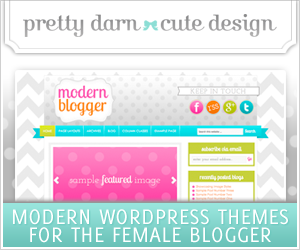 Soon I will have a signup for regular updates. I’ll let you know when I get that up. Great to hear from you! it with our favorite Pinot Grigio and it was all delicioso! Hi! I appreciated the post. I just have one thing to say: They are Carabinieri not policemen. 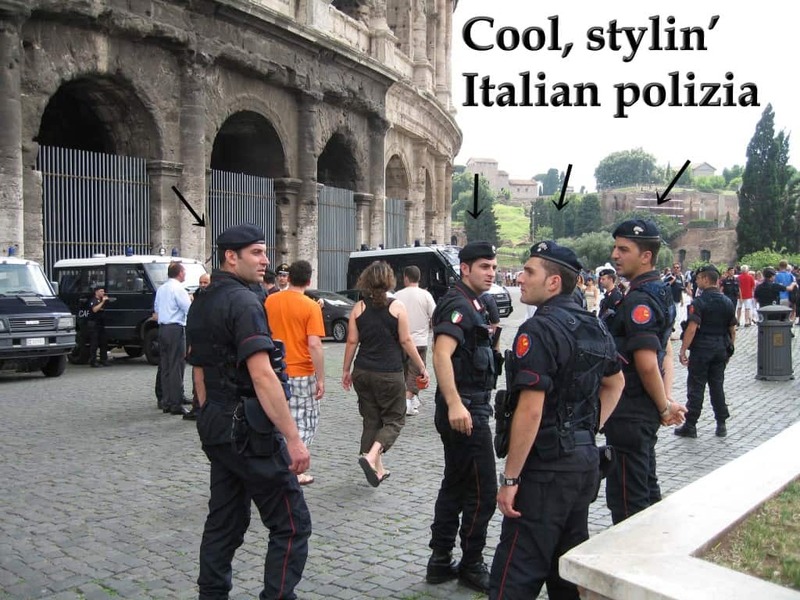 They’re military police while the Polizia is civilian. I’m sayin’ this just for you to know since you love Italy that much, I thought you’d be happy to know it. Best wishes. Ah, good to know. I thought they seemed a little more dressed up than regular policemen. They looked very good in their uniform!